There is a giveaway on our Facebook page, where you can win all 19 stamp sets, it's open to everyone worldwide so please take part. If you haven't already, we would love it if you could connect with us on all social media outlets, links are top right of this page. Jenny coloured this little fireplace scene so beautifully that I really felt the pressure to make a good card with it! One final post after this one and I promise I'll leave you in peace...until tomorrow ;) tee hee! Here's a super simple card I made using an upcoming set called Little Llama, and guess what? I even coloured this one myself ;) haha! Thank you so so much for your interest! I'm sure you don't need reminding that it's Friday and that the weekend is imminent - yay! I don't have any exciting plans but the children have exeat this weekend so we may spend a weekend in London. No prizes for guessing which box I'll be ticking this year...of course I've been good ;) hahaha! Last year we moved house end of November and the years prior to that I was running Clearly Besotted so this year is the first in many that I have lots of spare time to prepare for Christmas :) I have decided to decorate my own garlands and have placed a huge order online for all the materials needed...can't wait to get started! Hope your Wednesday is utterly delightful, failing that, at least tolerable ;) haha! Halloween isn't really a holiday we celebrate, however, I still can't resist making Halloween cards...it's just so much fun! Thanks so much for looking and I hope you have a great Tuesday! After an overly indulgent summer, I've decided to go back on my diet...does anyone else eat the entire contents of their fridge and pantry prior to starting a diet? Well that's what I've done today and I'm feeling a little sick right now! 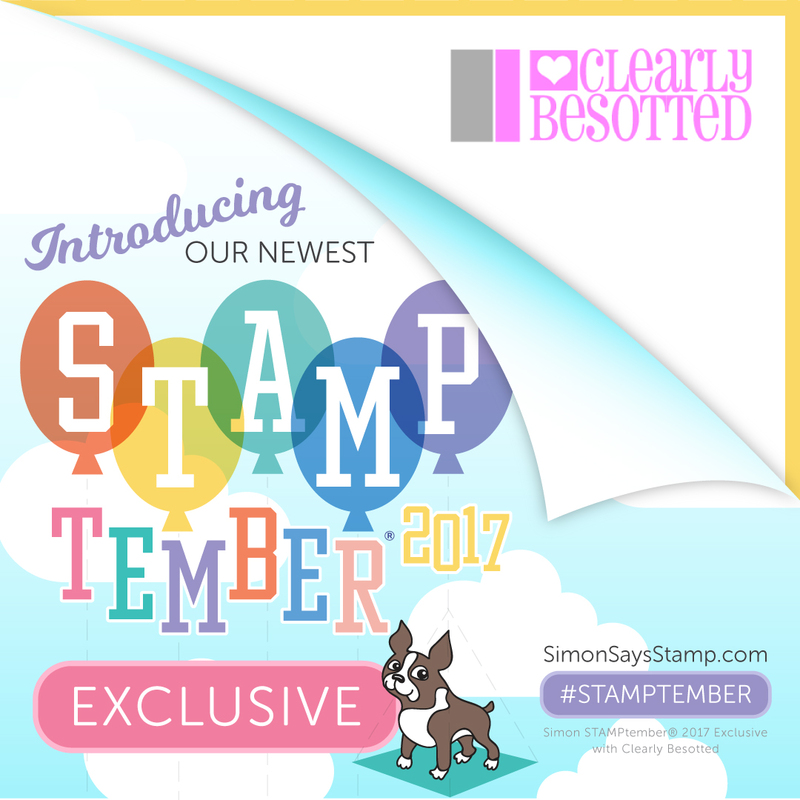 Can you believe that we have been asked to collaborate with Simon Says Stamp once again, for the month long extravaganza that is STAMPtember!!!! Such an honour to produce an exclusive set for this wonderful company, which has the most wonderful owner, Heidi Crowl. I have to make a few samples with our Simon Says Stamp Stamptember collaboration set and my mind has gone completely blank, I think it's the pressure - eeek! As I mentioned before, we are bringing back dies and our first batch of restocks are arriving today. Moving forward, our new releases will come with coordinating dies and we will gradually introduce die collections for all our existing stamp sets. 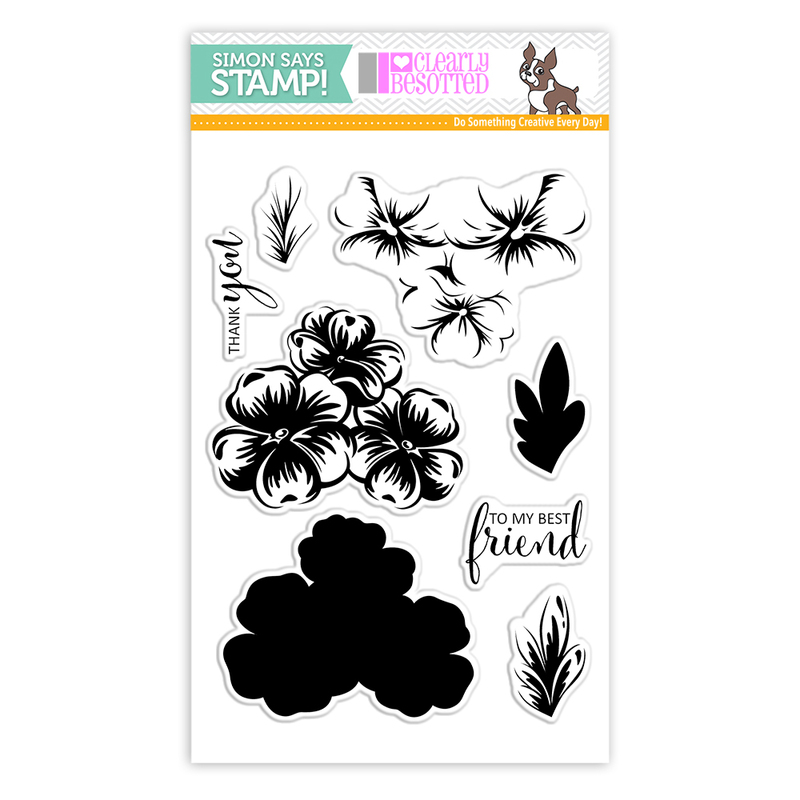 We are prioritising our popular stamp sets first so Fluffy Flamingos, Bookworm, Bah Hum-Pug!, Fluffy Furball, Seal of Approval and Simply Succulent are amongst the die collections coming soon. Please note that all stamps in our clearance section are retiring and therefore dies will not be available for them, sorry for any disappointment. Jenny has asked me to reiterate again how grateful she is to you all, your incredible support and continued custom has enabled us to bring back dies, we are immensely appreciative of you! Third post of the day and I'm on a bit of a roll now! Can't decide if I think this card is overly simple or just simple enough haha! Please excuse the multiple posts in one day, I have such a big backlog of cards to share, it's the only way I can fit them all in! I hope you're having a great morning / afternoon / evening...delete as appropriate, depending on when you're reading this ;) haha! It's so easy to make a pretty card when Jenny has coloured the image so beautifully, when I asked for any tips on improving my colouring, her reply was that I had to practice...I think I'll give that one a miss ;) haha!